Ethnic policy in China has failed. 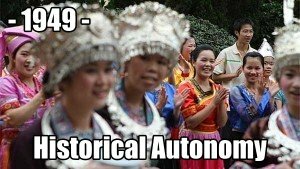 China can either become a federation or abolish ethnic territorial regions. Expect more ethnic conflict. Ethnic minorities have gone through changes in the demographics, not just in names or the derivation of the languages. There are many changes that happen that are not the best choices for countries. The good times they had and the historical references get changed. This article compares many different examples of this type of needed autonomy across the globe. When the Soviet Union collapsed under communism so China followed suite. In this article we find out three fundamental things they don't want you to know about. Read on to find out where, if you have any understanding of the topic leave a comment. Who knows it might just be your lucky day.